The journal is published quarterly since 2007. 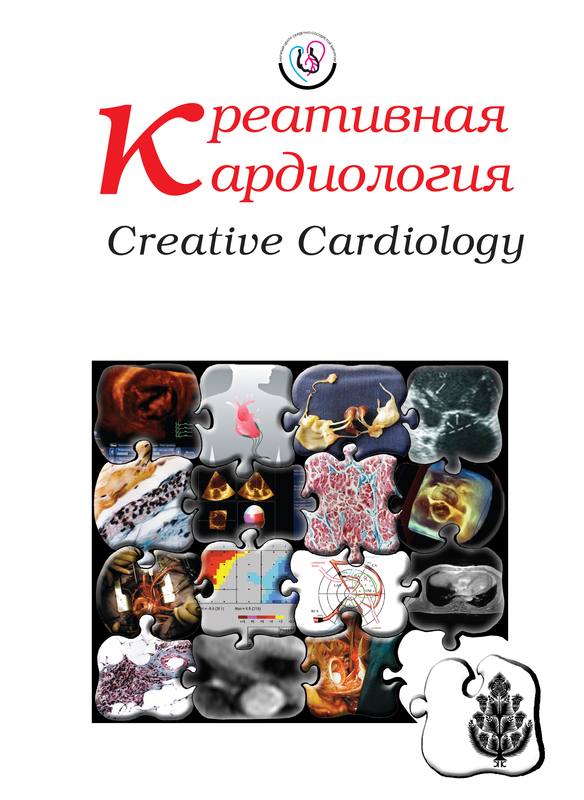 The journal is intended to highlight the latest achievements in different sections of modern cardiology (coronary heart disease and its features in patients of different age groups, acute coronary syndrome, heart valves disorders, cardiomyopathy, etc.) and the development of interdisciplinary relations not only in the context of clinical medicine but with other fields of science as well – genetics, physiology, physics and others. The readers are invited to consider the reviews and original articles covering the issues of diagnostics, treatment of various cardiovascular system diseases and rehabilitation of patients after surgical interventions, the descriptions of clinical cases of great practical interest. The journal is included in the list of Russian peer-reviewed scientific periodicals recommended by the Higher Attestation Comission for the publication of basic results of Ph.D. and doctoral theses. Each new issue of the journal for its novelty and singularity will surely be of interest to clinicians, researchers, medical teachers, post-graduate students and resident physicians. The possibility of placing their research is provided not only to experienced scientists and practitioners, but also to young professionals who are starting their way in the specialty. The National Digital Resource "Rukont"